Lisa Pressman | Paint. Draw. Blend. 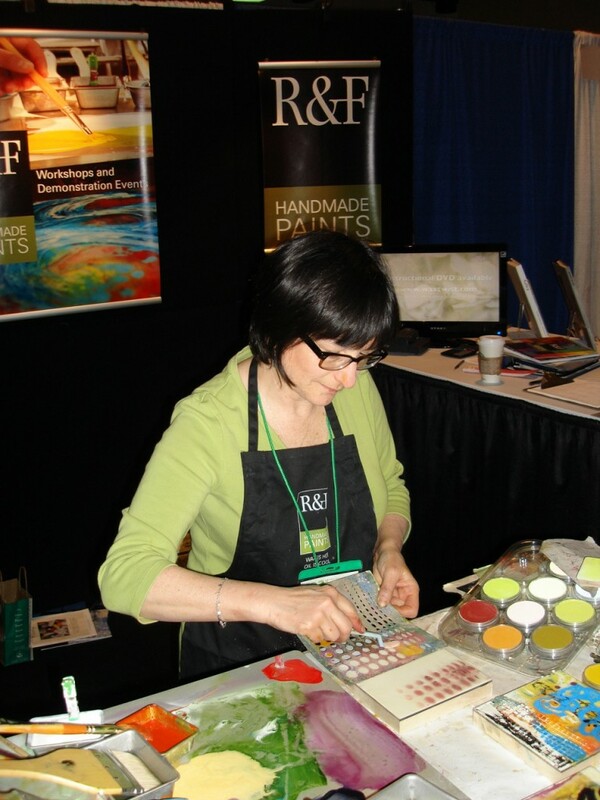 At the recent CAA conference in New York city, I met Lisa Pressman, a New Jersey based painter. Lisa was demonstrating on a neighboring booth – R & F Handmade Paints. I took these photos of Lisa experimenting with PanPastel Colors, instantly creating some interesting results. One of her first “on-the-spot” experiments, shown below, involved using a template over clear encaustic medium on Encausticbord. She applied PanPastel Red Iron Oxide with a Sofft Knife over the template to create a pattern on the surface. Then fused the color into the encaustic medium with a heat gun. A simple yet effective technique! Following that, she used one of the larger Sofft Sponges (Angle Slice) to glaze the surface using Red Iron Oxide tint and Bright Yellow Green tint, adding semi-transparent glazing layers to the piece. 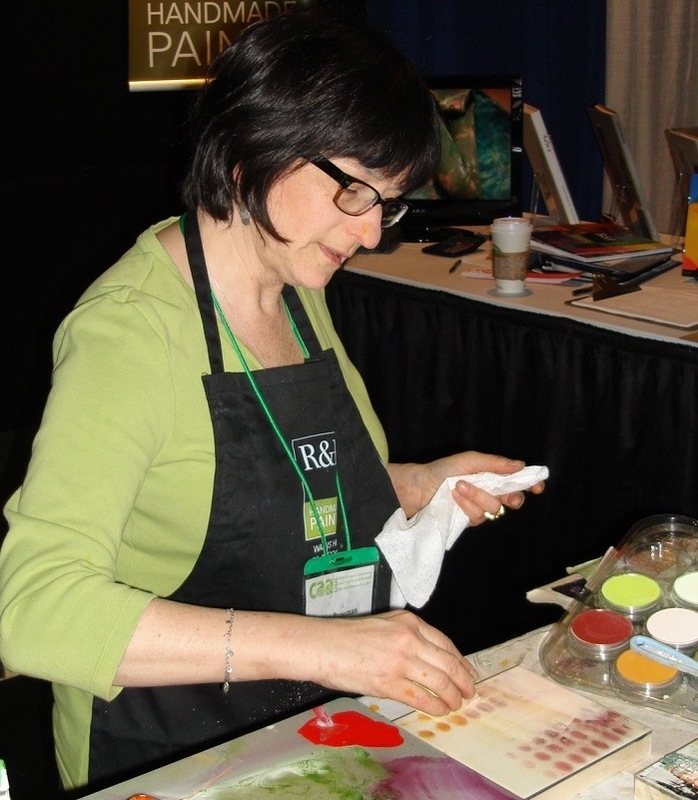 PanPastel Colors are so versatile, they can be combined with many different media; and as this shows they work beautifully for encaustic work, either with pigmented encaustic colors, or with clear encaustic medium as Lisa used them. I’ve been experimenting with encaustics myself, so I really enjoyed chatting with Lisa who gave me some great suggestions. I would love to take one of her workshops once my schedule allows it. (Workshop info can be found at her website).